Get the party started. Fiesta Latina offers 3 different lineups in a choice of 4 different colour themes, or you can mix and match the themes to suit the nature of your event. The band comes in 3 sizes, from the 4-piece band to the 2-piece band. 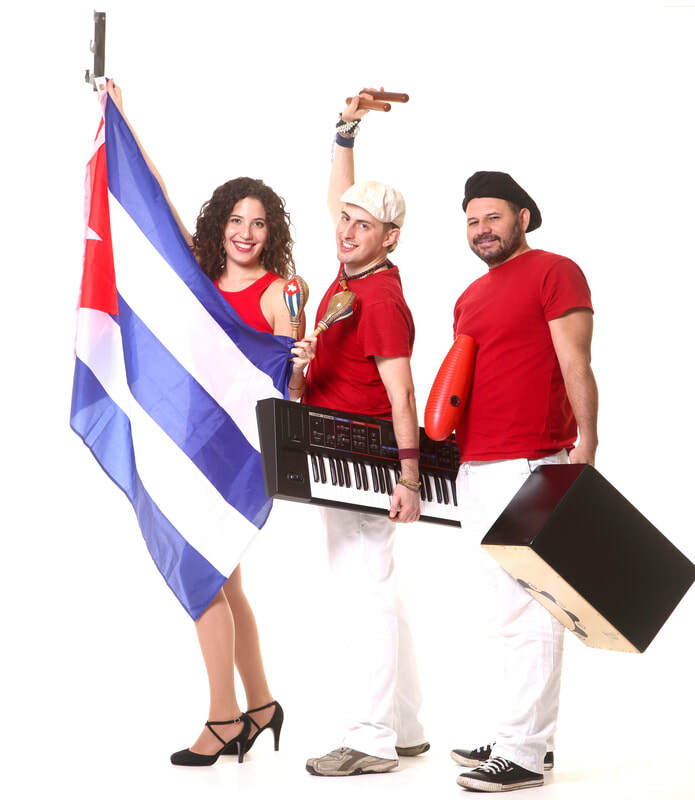 The band offers a choice of 3 colour choices for the Cuban setup "Changó" (red), "Yemaya" (blue), "Obatala" (white) plus a "Brasil" (green) colour choice for the Brazilian setup. Everything else you need to know about bookings is on Red & Black Music (www.redandblackmusic.co.uk). To find out more about booking the band, email fiesta@redandblackmusic.co.uk or fiestalatina@redandblackmusic.co.uk. Due to the popularity of interest, the band does not take verbal enquiries and all pre-booking/pre-contract correspondence is made in writing to ensure 100% accuracy of information. Please don't take that the wrong way: it's so we can ensure we communicate everything to you in the right way at the right time, and so you have the information there written down for when you need it :) Thank you for your understanding! Looking for a larger band?